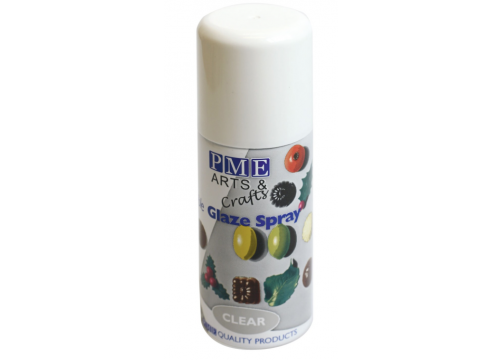 This Spray Lustre Glaze gives a whole new dimension of style and finish. It is perfect for use on any Occasions Cakes, Cupcakes, Chocolates Cookies and Desserts. It can also be used to highlight, decorate and enhance a wide selection of decorating materials including: Sugarpaste, Chocolate, Butter cream, Marzipan, Flower Paste and Gum Paste. This Spray Lustre Glaze gives a whole new dimension of style and finish. It is perfect for use on any Occasions Cakes, Cupcakes, Chocolates Cookies and Desserts. It can also be used to highlight, decorate and enhance a wide selection of decorating materials including: Sugarpaste, Chocolate, Butter cream, Marzipan, Flower Paste and Gum Paste. 100ml.